This past Friday, November 2, seventh-grade students at Lehi Junior High School and Willowcreek Middle School were given a surprise gift as a reward for their effort in a summer school math and reading program. The Alpine School District Foundation provides a summer program for students in partnership with local businesses IM Flash Technologies and Fidelity Investments. The Summer Initiative to Motivate Students (SIMS) aims to increase exiting sixth-grade students’ competence in reading and math skills prior to entering 7th grade. 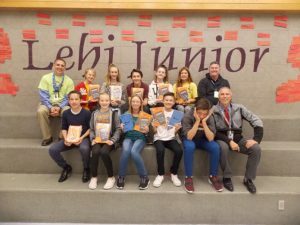 The program focuses on specific reading and math skills that are helpful for students to succeed at the middle school level. Last summer, students met during the beginning of June for a two-week period every day for two hours. Students were expected to attend every day and commit to completing homework and outside reading as part of the program. 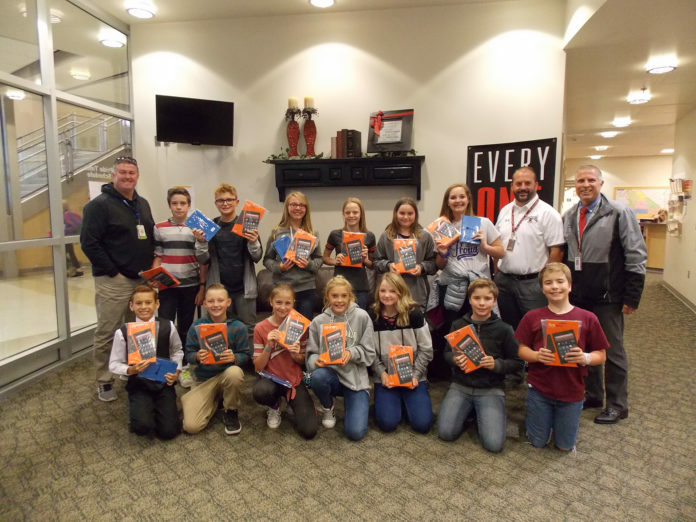 Students at Lehi Junior High and Willowcreek Middle School who had perfect attendance and showed improvement at the end of the program were selected to receive a Kindle tablet as a reward for their efforts. 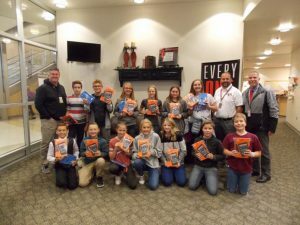 Before they received these surprise gifts, the students were asked to wait in a meeting room in the administration office. Tim Eisenhart, Executive Director of the Alpine School District Foundation and Keven Driggs, Manager of Community and Academic Relations for IM Flash Technologies told the students at each school that they would need to take a quick test and answer a couple of questions about their experiences with SIMS.